Every Helmet needs a stand. You just can't wear your helmet all the time or can you? 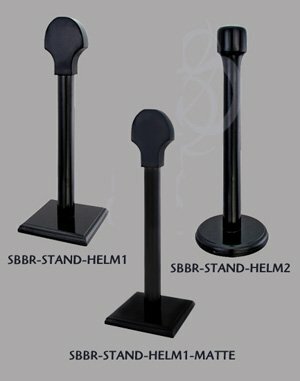 Although everyone at Strongblade would love to see all the customers wearing helmets all the time, a helmet stand can come in handy. These black lacquer wood stands are ideal for all helmets.